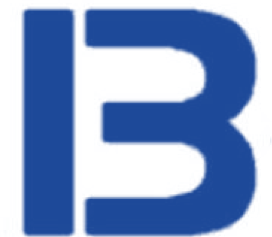 Do you see the letter “B” or the number “13”? Or did your brain cross back and forth between the two? If you saw this image in between the numbers 12 and 14, you’d lock in on the number 13. The same if we’d been discussing statistics. However, if you saw the same image like this, “A B C” or we’d been talking about the value of the written word, your brain would recognize it as the letter B. Which is it? Without the proper context, commonly defined by circumstance and setting, information can fail to properly inform us. On a cold January morning in 2007, a violinist opened his case during rush hour and played for 45 minutes in the Washington D.C. subway. He collected $32 in tips and only one person stopped to listen, someone who recognized him as Joshua Bell, then the first violinist for the New York Philharmonic. More than 1,000 people passed by and only one recognized his face or his virtuosity (or that he was playing on a multi-million-dollar violin). This experiment duplicated one performed with violin virtuoso Jacques Gordon in Chicago in May 1930. In Gordon’s case, he achieved the same level of recognition: only a single person, out of hundreds passing by, took notice. The big difference was that Gordon’s busking earned $5.61 in tips, the equivalent of about $80 in 2016 dollars. It’s not that people don’t appreciate fine musicians; the problem is the context. The context that passersby were using to judge the music in the subway – a noisy, gritty, stuffy place for people in a hurry – was a far cry from the refined beauty and relative peace of a world-class concert hall like Lincoln Center. Research in the field of neurolinguistics has helped us understand that the brain has ways of linking words together. Words get arranged in sets and those sets save us time. We can easily associate the word “cat” with the word “dog” is because they’re in a set. If we add the word “food” we can easily say the conversation is about pet food. This linkage, or context, saves us time on analyzing what each word means. Context allows us to be more sensitive to incoming information. It tunes our receptors to dial in appropriate information and disregard trivialities. On a hike through the rainforest, a crunch of leaves not caused by our own feet could be from a nearby predator and we are instantly on the alert. In our backyard, a crunch of leaves barely causes us to lift our head from the barbeque. In the working world, with the tremendous volume of communication happening daily, context helps us process messages. For good reason, corporate communication teams expend tremendous effort to frame and contextualize messages for different employee groups. By doing so, a messaging campaign such as “Drive it Home!” is contextualized properly for workers in the warehouse as well as the marketing department. If you don’t provide a context for the audience, readers might see a “B” when you intended for them to see “13” and when that happens, effective communication doesn’t happen. Sociolinguistic cues have been created by our families and the environment we grew up in to make sense of social and environmental situations, often influenced by space and people. For example, most of us become quiet and reverential as we enter a library or place of worship because we’ve been trained to do so. And we appreciate the nuances of context, too. We act differently when we walk into our boss’s office and even more differently when we walk into our boss’s boss’s office. Again, context saves us the time we would have otherwise spent trying to figure things out. With proper context, our brains leverage already-created connections between related and relevant pieces of information. Imagine hearing this message in two different scenarios: “You need to finish that project before you leave today.” In one case, it’s said by your boss, in another case it’s said by a stranger at lunch. How we respond is highly influenced by the context of the message, and of course, the messenger. In Robert Cialdini’s book, Pre-Suasion, the author notes that our behavior is strongly directed by influences that happen before we notice we are being influenced. While technically identified as priming, these primes contribute to situations that offer our brains context. Context for communication can be altered by something as small as the watermark on the printed page. When we are not given the proper context, we will see the context our minds provide. We are more likely to comply correctly with communication when the message and the context are aligned. There may be times when the opposite side of the natural context is the context we need. This is true in decision making. By changing the context from the museum to a garage sale, Parrish reframes the context which allows for different answers. Advertisers, marketers and brand owners are using context to generate decisions that favor them in nearly every message they send and most of the time we’re not aware of it. Armed with the knowledge of creating context, we can influence how people around us receive the messages we generate. Message creators can enable understanding by creating context; in that way, the responders can take appropriate action. In the end, the question is this: Do you want people to see a B or a 13? The context that the sender provides heavily influences what the receiver takes away from the message. It’s said that perception is reality. The message sender bears the weight of creating that reality by the context that is provided. And in the absence of context, the receiver makes it up.